Man, Puppet, or something in between? 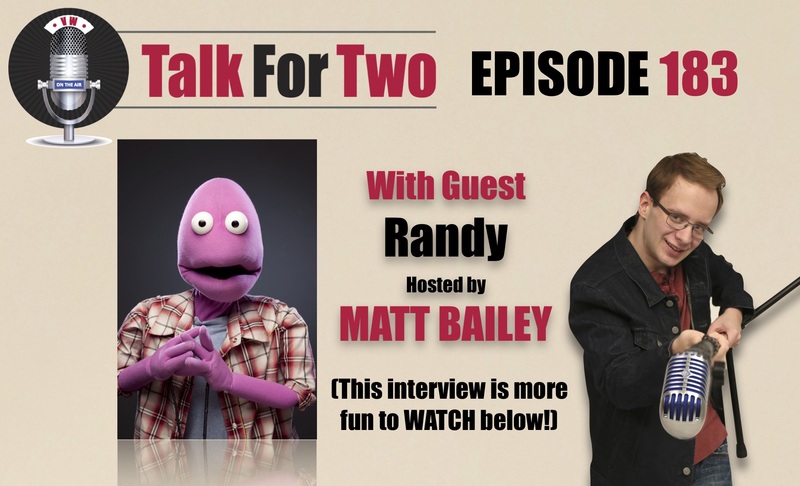 Randy, Down Under’s most famous piece of felt, joins Matt! Randy is purple, made of felt, and Australia’s most famous non-human comedian. He’s won awards for his various 1 man shows on the fringe festival circuit. Randy has headlined all over the world, but is making his first stop in New York this Spring. His award-winning show, Randy Writes a Novel, is playing at the Theatre Row complex in midtown Manhattan until June 9th. Get your tickets here. Normally, this description goes on for at least three or ,four paragraphs. But this interview is truly something that has to be consumed to be understood. If you’re here on TalkForTwo.com, forego the audio and watch the video interview below.